We’d love your help. Let us know what’s wrong with this preview of The Changeling Sea by Patricia A. McKillip. To ask other readers questions about The Changeling Sea, please sign up. Whenever I think about this novel, I feel warm. I feel at home. This is the book that made me fall in love with reading, the very first one I bought with my own savings, more than 10 years ago. It took me half an afternoon to finish it and, once I was done, I immediately went and reread it, skipping homework and totally forgetting about the world outside. I remember I found it magical and beautiful, simple and yet complex and intense in its semplicity. It gave me such strong feelings, made my mi Whenever I think about this novel, I feel warm. I feel at home. It gave me such strong feelings, made my mind and heart travel to places I never thought existed. I often reread it, every now and then, and every time it's like the first time. No matter how great or famous or brilliant or heartbreaking a book is, it will never be as important to me as this one is. I still cherish it and forever will, too. Because it's my most precious treasure and it taught me how to dream. "What have you done?" she asked herself aloud. "What have you done?" She answered herself a few moments later. "I've gone and fallen in love with the sea." Patricia McKillip should give lessons in how to write fantasy romance - imaginative, charming, balancing a tear with a smile, loneliness with selflessness, poetry with the prose of day to day living. She is one of the most consistent writers of modern fairytales I have come across, her lyrical style immediately identifiable, yet bringing something fresh and original with each new book she writes. She infuses even the darker stories with beauty and a sense of wonder, and she turns a deft hand at light comedy when the situation requires it. She felt as if she had stepped into some dream where anything might happen: Her head might float away and turn into the moon; starfish might walk upright onto the sand and dance a courtly dance. Peri, as in Periwinkle, is a young girl who lives in a small village by the sea. When she loses her father in a violent storm, she puts a curse on the cruel sea, throwing into the waves some of her amateurish magical wreaths. Who would believe that a simple scullion girl in the local inn might have the power to awaken terrible forces from their deep blue slumber? Yet soon enough, a magical dragon starts to haunt the sea near the village, a magnificent multicolored beast that is chained to the bottom of the sea by a heavy gold chain. A young man, the obligatory "tall, dark stranger", is also haunting the beaches, always looking out to the sea. Pretty soon, another young man will mirror the first one by gazing longingly from the beach towards dry lands. Both of the boys find refuge in the humble hovel of the girl Peri. And spring is coming to the world, awakening in the three young hearts the thoughts of romance. The air was warm, silken, promising longer, lazy days, more light, promising all the soft, mysterious smells and colors of spring after the harsh gray winter. The sand itself was streaked with colors from the sunset. The plot is inspired by the old Celtic legends of the Changeling, by the magical realm of the faeries existing hidden beside our own reality, and by the dangers of crossing this invisible barrier between the real and the magical realms. There's a legend like this in the kingdom where Peri lives, a mystery that she unwittingly steps into and must now help to unravel. Once upon a time there was a king who had two sons: one by the young queen, his wife, and one by a woman out of the sea. The sons were born at the same time, and when the queen died in child-bed, her human son was stolen away, and the sea-born son left in his place. Why? No one truly knows, only the woman hidden in the sea, and the king. And perhaps the king does not even know. Why? Why is the wind, why is the sea, why is a long road between the world and me. Slowly you learn to turn the dark into shapes, colors ... It's like a second dawn breaking over the world. You see something most people can't see and yet it seems clear as the nose on your face. That there's nothing in the world that doesn't possess its share of magic. Even an empty shell, a lump of lead, an old dead leaf - you look at them and learn to see, and then to use, and after a while you can't remember ever seeing the world any other way. Everything connects to something else. In the current novel, this majesty, mystery and danger of magic is symbolized by the sea, a fickle mistress that can in the blink of an eye turn from coy to murderous. Lyo, with his magical eye, can unveil the poetry of the sea in a way that the gold crazed locals have long forgotten in their daily drudge of earning a living. He seemed delighted by the sea life, as if he had seen little of it, yet he rowed fearlessly farther than Peri had ever gone, out to where the very surface of the world was fluid and dangerous, where the sea was the ruling kingdom they trespassed upon in their tiny, fragile boats, and the life and beauty in it lay far beneath them, in places forbidden to their eyes. The Changeling Sea is one of the novels I would love to see turned into a movie (especially after watching the horrible example of what passes for rom-com today with "Trainwreck"). It may not be action filled or grimdark or even epic, but it has style and charm enough to put me in a good mood, more inclined to see the wonder of the world around me instead of its dinginess. My dark, my shining love. My dark, my singing love." This is no ordinary book. It is a key to another realm. I journeyed through the labyrinthine pathways of her heart to enter a secret world full of magic and beauty. And I am forever changed. I have always been a creature of the sea. My soul heard her song and found it's way to her shore. She gives me shelter from the storm. Her heart keeps me warm. My goal for next year was to read more female fantasy authors. I started this a tad bit early, but was unable to put it down. I hope I find more authors like this while achieving my goal! I don't normally like books with romance in them. Especially romance books that are also Young Adult. This book was way out of my comfort zone being shelved under both. But the writing was so well done and the tale so beautiful that I enjoyed this one immensely. Everyone who tells the tale of a sea- journey, or li My goal for next year was to read more female fantasy authors. I started this a tad bit early, but was unable to put it down. I hope I find more authors like this while achieving my goal! Everyone who tells the tale of a sea- journey, or listens to it, travels there safely and comes back again. The story is about a girl named Periwinkle who has lost both her parents to the sea - her father who disappeared while fishing and her mother who stares at the sea all day mourning his loss. Using spells taught to her by an old lady before she too mysteriously disappears, Peri hexes the sea. "I hex you. I hate you, I curse you, I lay a hex on you, Sea so that all your spellbindings will unravel, and all your magic is confused, and so that you never again take anything or anyone who belongs to us, and you let go of whatever you have." And thus begins a whirlwind story of two princes, a King, a magician, love and the land under the sea. Originally posted at Paperback Wonderland. Some friend. You always say that! I've already read it! Anyone who's lived their whole life by the sea wil Originally posted at Paperback Wonderland. Another winning tale by Patricia McKillip. This is only the second book I've read by her, but I'm convinced she can do no wrong. There's something delightful and magical about the way she writes that pulls me into her stories, and I don't surface until the last page is turned. It doesn't happen often to me, but once in awhile I come across a book and wish I was young again to enjoy it with an open, less burdened mind, and to enjoy it in the spirit it was written and, just for a moment, be its tar Another winning tale by Patricia McKillip. This is only the second book I've read by her, but I'm convinced she can do no wrong. There's something delightful and magical about the way she writes that pulls me into her stories, and I don't surface until the last page is turned. It doesn't happen often to me, but once in awhile I come across a book and wish I was young again to enjoy it with an open, less burdened mind, and to enjoy it in the spirit it was written and, just for a moment, be its target audience again. This is one of those rare books in which the magic is real; I just can't feel it anymore. Even though I enjoy it now and really like the writing, it's a cold, intellectual kind of enjoyment. Lovely prose, lovely story. I love the way it reads on the page and can methodically deconstruct all the things that I like about it and appreciate the parts as much as the whole story, but it doesn't hit me right in the feels like The Forgotten Beasts of Eld. Yet I'm certain I would have loved this book more when I was younger, when I would have been eager to be fully immersed in the mystique of the sea and its mysterious magical pull. I think, back then, I would have been able to hear it calling as clearly as Peri. "Be happy now," she whispered, aware of all the shining waves behind him reaching toward him, withdrawing, beckoning again. She added, feeling the pain again in her throat, "When I'm old--older than the old women who taught me to make the hexes--come for me then." "Promise me. That you will bring me black pearls and sing me into the sea when I am old." "Your heart sang to the sea. I heard it, deep in my coral tower, and followed the singing. Humans say the sea sings to them and traps them, but sometimes it is the human song that traps the sea. Who knows where the land ends and the sea begins?" "The land begins where time begins." "It's an odd thing, happiness. Some people take happiness from gold. Or black pearls. 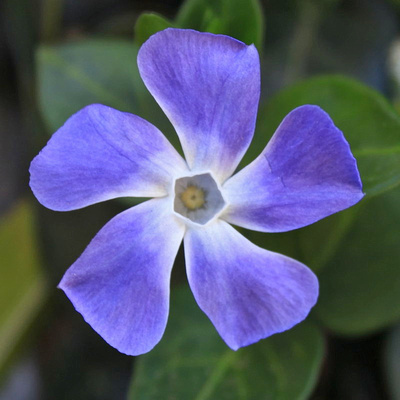 And some of us, far more fortunate, take their happiness from periwinkles." This is a gorgeous, bittersweet, perfect, completely unsatisfying story. It's a fairytale that feels real. All of those things at once? Yes. I didn't like the other book by this author I've read nearly as much -- perhaps not at all, I can't remember. But this is lovely. It's a story about longing, really, longing and love. It spellbound me, and managed to capture something I love about the sea: its beauty, humans' fascination with it, its danger... Dar Williams' The Ocean comes to mind here, som This is a gorgeous, bittersweet, perfect, completely unsatisfying story. It's a fairytale that feels real. All of those things at once? Yes. I didn't like the other book by this author I've read nearly as much -- perhaps not at all, I can't remember. But this is lovely. It's a story about longing, really, longing and love. It spellbound me, and managed to capture something I love about the sea: its beauty, humans' fascination with it, its danger... Dar Williams' The Ocean comes to mind here, somewhat. This story was all I could ask for, and more. It doesn't need three hundred or four hundred pages, much of them filled with boring details to tell its story. A coming of age punctuated by loss and finding what's important in one's live. "It’s an odd thing, happiness. Some people take happiness from gold. Or black pearls. And some of us, far more fortuna Heart-breaking, atmospheric and unforgettable. This short, standalone novel (a novella really) written in McKillip's usual beautiful yet elliptical style is exactly the sort of thing that I come to expect from her work. A lowly scullery maid, who's fisher father died at sea and who's mother is psychologically lost to the sea, hates the ocean and tries to put a hex on it but ends up becoming embroiled in powerful magic and the King's family who's one time tryst with the sea queen is coming back to haunt him. Those who have read McKillip before This short, standalone novel (a novella really) written in McKillip's usual beautiful yet elliptical style is exactly the sort of thing that I come to expect from her work. Those who have read McKillip before will find the evocative prose and the opaque dialogue, in which the characters seem to talk around each other, quite familiar. Once again the emphasis is not on action but rather the emotional conflict and tension. My daughter and I both enjoyed this book about magic, loss, loneliness, and people wishing for things they can't have and to be things they can't be. There were some pretty heady concepts in here, and some nicely complex language. The little one ate it up like shrimp chowder with a spoon. And, y'know, I kinda did, too. I first read a book by Patricia McKillip about three years ago and decided I must read more of her work. This has proven to be an excellent life choice since it's introduced me to books like The Changeling Sea, a beautifully written (and short stand alone!) fantasy story with themes of love and loss. The combination of legendary occurrences and everyday life by the sea is handled masterfully, and I added this memorable book to my favorites shelf immediately after finishing it. Full Review: http:/ I first read a book by Patricia McKillip about three years ago and decided I must read more of her work. This has proven to be an excellent life choice since it's introduced me to books like The Changeling Sea, a beautifully written (and short stand alone!) fantasy story with themes of love and loss. The combination of legendary occurrences and everyday life by the sea is handled masterfully, and I added this memorable book to my favorites shelf immediately after finishing it. This book is so gorgeous it hurts. I’m serious. The prose is so beautiful you can’t help but foam in envy. Her writing has such luscious descriptions you just want to gather them all up and devour them like precious edible gold. It’s just amazing how she manages to spill her wonderful imagination out into the pages and spin a story with the skills to back it up. Sure this novel (a novella almost, really) is short but I really loved how she takes a familiar aspect in fairy lore (the switching of ba This book is so gorgeous it hurts. Sure this novel (a novella almost, really) is short but I really loved how she takes a familiar aspect in fairy lore (the switching of babies) and places it in an entirely different setting. Her transformation of it is fabulous and I thought worked really well with the sea backdrop. The characters may not be so deeply explored but we see them shine on the pages that they are on. The ending of this book was very quiet compared to the mysterious and overwhelming sense of mystery and pull we had at the beginning, which I think made for a nice contrast. It’s almost bittersweet but we are left with such pleased emotions after. In a small fishing village on the coast of the wide, stormy sea, a bright-eyed young woman named Periwinkle makes her home. After her father, a fisherman, rows out his ship and never returns, Peri's mother lapses into quiet despair, forgetting to talk and always staring out at the roiling sea and fantasizing about the people that live in its depths. Without her parents to watch over her or remind her to do things like brush her hair or hem her clothes, Peri grows from a quiet child to a wild and somewhat neglected young woman - her hair always a tangle, her dresses bleached of all color, too tight in some places, too loose in others. Even the old wise woman who used to brush Peri's hair in her small cottage disappears one day, leaving Peri without anyone to care for her at all. During the day, she works at the local inn, scrubbing floors and cleaning rooms; by night, she returns to the old woman's cottage and makes her own isolated home where she plots her revenge against the sea. Hateful of the ocean that has taken both of her parents away, Peri crafts three crude hexes to curse the sea - it is here that she meets Prince Kir, who also knew the wise woman and years for her counsel. Kir has deep troubles of his own, also connected to the watery depths, and hopes that Peri can help him make his peace with the ocean that haunts his every waking moment. When Peri finishes her hexes and throws them deep into the great water, she also includes an offering from Kir - and to Peri's great astonishment, her hexes start to work. A great sea dragon starts to appear amongst the fishermen's boats on the sea, with an impossibly large gold chain around its neck. Then, a magician comes to town, promising that he will be able to remove the chain and give the gold to the villagers - for a price. And most importantly, Kir's dreams of the sea grow more fevered and frantic, as his own unknown, hidden past catches up to him. And it is all up to Periwinkle to set everything back to rights. To date, I've only read a handful of books and short stories from Patricia McKillip, mostly her recent releases. The Changeling Sea, however, is one of McKillip's earlier works, originally published in the 1980s and instantly endeared itself to me - a changeling fable that takes place by the stormy sea? What better place to jump into McKillip's rich and extensive backlist? And you know what? I absolutely loved this book. 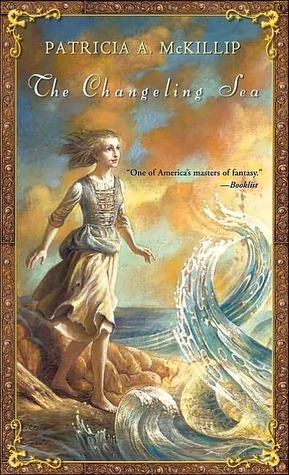 Shortly put: The Changeling Sea is another gorgeous, wonderful book from the incredibly talented McKillip. A sigh, smelling of shrimp and seaweed, wafted over the water... In the deep waters beyond the stones, a great flaming sea-thing gazed back at her, big as a house or two, its mouth a strainer like the mouth of a baleen whale, its translucent fiery streamers coiling and uncoiling languorously in the warm waters. The brow fins over its wide eyes gave it a surprised expression. Around its neck, like a dog collar, was a massive chain of pure gold. Beautiful, no? Such is McKillip's writing, littered throughout with these gleaming gems of description and story. As the title suggests, The Changeling Sea is a fable about a changeling, and a story whose heart is inextricably tied to the sea. It's a book about love - no, scratch that. It's actually a book about yearning for what once was, and what can never be again. It's the book of a King that yearns for the beauty of the sea queen in all her splendor, the story of two brothers crossed at birth that yearn for their true homes on sea and on land. It's the story of a wild haired, barefooted fisherman's daughter that dares hex the spiteful sea, and yearns for the love of one that can never return it. Aren't these some of the best of all? These stories of want and hate and love, all jumbled up into one powerful package of emotion? And then there are the characters! Periwinkle, our heroine, is a pinched and angry character at first, who scowls at the ocean but refuses to leave its shores despite her hate. She's bold and wild, who cares little about the conventions that bind others - she doesn't have secret dreams of catching the prince's eye like the other girls who work at the inn, and she doesn't pay attention to her clothes or her hair. She's smart but rough around the edges, passionate but obstinate - and for all that, a character you cannot help but love, flaws and all. There is the tortured Kir, who is...well, defined by his yearning for the ocean and his feeling that he does not belong on dry land. There's also the sea dragon himself, who is not at all what he seems, and a king that has made mistakes in his past but loves his children and lovers dearly. But for all that, my other favorite character in this beautiful little book is Lyo - the canny magician, with his smiling face and his penchant for twisting magic in delightful, unexpected ways. All in all, I loved The Changeling Sea, and absolutely recommend it. I cannot wait to try more of Patricia McKillip's work - now, any suggestions on where to go next? The sea has always fascinated me, mayhap because I was born near one and usually went to sleep lulled by the sound of its waves. It could also be because I have loved its might, which made me feel totally insignificant in the entire realm of things or maybe because I always stood tall before the sea, almost as if I were challenging it to do its worst, while it gently responded to me by lapping at my feet, almost caressing me and soothing away my pain and anger. I will never know the exact reason The sea has always fascinated me, mayhap because I was born near one and usually went to sleep lulled by the sound of its waves. It could also be because I have loved its might, which made me feel totally insignificant in the entire realm of things or maybe because I always stood tall before the sea, almost as if I were challenging it to do its worst, while it gently responded to me by lapping at my feet, almost caressing me and soothing away my pain and anger. I will never know the exact reason but I believe that it is a combination of all this and more, which makes the sea a special entity in my life. Are you wondering why I am waxing poetry about the sea? Don’t worry, I have not gone completely nutty, it’s just that this book is set in a place by the sea and deals with both the magic as well as the mysterious nature of the sea. This is my first book by the author and I must take time to point out that she definitely writes a lyrical story, one that is both high on imagination as well as story building. A true page turner that leaves you spellbound at every moment. It was almost as if the author had a magical romantic tryst with herself while writing this book, her love and passion flows through the pages and the story, leaving the reader feeling warm and yet seeking an unknown that is both within reach as well as beyond. The story is about a girl, Peri or Periwinkle, a floor scrubber in an inn, who loses her father to the sea. Her mother, devastated by this loss is almost like a mute sculpture, which adds to the loss felt by Peri. She hates the sea for the loss of her loved ones and with the help of an old woman in the village, she manages to hex the sea. Of course, she doesn’t believe that her hexes will come true and goes about her work as usual. During this period, she meets the Prince Kir, son of the King of that country, who truly yearns for the sea as no one else can. The story moves onto include a magician Lyo, a sea dragon and some wonderful twists and turns, ultimately leading to a wonderful story, which is both romantic and poignant. Where the story starts with a very light and sweet note, it quickly takes its turn to the mysterious and magical. What made me really like this book was the fact that the twists and turns do not seem to be forced or a farce. You move with it, experiencing the pain, angst, love, magic and all other elements that are thrown in together and faced by the characters. Each character is extremely believable and well developed. Whether it is the anguished Prince Kir or the lost sea dragon or the beguiling magician or even Peri, the main heroine, they are all believable and definitely characters that you can relate to. I loved the writing, which as I mentioned earlier is totally magical. I usually don’t have favourite quotes or passages from the books I read or rather don’t usually mention them but there were two in this book that really struck me, which makes me want to share it here to explain just how poetic the writing can be. Of course, I can be accused of liking cheesy writing by some, but honestly to me it was magical. Overall this is a simple story that is told beautifully, full of magic that makes you feel as if you are being soothed and rioted by the waves of the sea. So if you are in a mood to relax and enjoy a simple story, with some magic and beautiful presentation, do pick this one up and I can guarantee that you will enjoy it. Its my second book by Patricia McKillip after the The Riddle-Master of Hed. I liked that book but I loved this one. It is a short, simple and beautifully written book. It is a story of a girl, two princes, one magician and a sea dragon. After Perriwinkle's father's death, her mother is in a deep depression. Peri has stopped living with her mother and has started living in an old woman's abandoned house near the sea. Though she visits her mother occasionally but her mother rarely acknowledge her Its my second book by Patricia McKillip after the The Riddle-Master of Hed. I liked that book but I loved this one. It is a short, simple and beautifully written book. It is a story of a girl, two princes, one magician and a sea dragon. After Perriwinkle's father's death, her mother is in a deep depression. Peri has stopped living with her mother and has started living in an old woman's abandoned house near the sea. Though she visits her mother occasionally but her mother rarely acknowledge her presence. With each passing day Peri is getting more and more frustrated. One day when she couldn't bear anymore. She uses a little magic and hexes the sea and curses it. This sets a series of events in motion and Peri finds herself between two princes and their wishes to live in a place they crave for. Peri is a very intriguing character. She is introvert and alone, a girl craving her mother's love and attention. When her father who was a fisher dies in the sea, her mother starts thinking that her father is alive and is in a Kingdom that exist under the sea. That is one of the reason that she wants to unravel the mystery of the sea. She is a brave girl and her courage earns her the trust and respect of the men around her. Its a fairy tale kind of story and McKillip has told this in a wonderful way. Her writing has lyrical feel to it. The story is short yet it has a great character development. It's no secret that Patricia McKillip is a most beloved author for so many fantasy readers. I discovered her late in the game, when I ran across a beautiful reissued omnibus edition of The Riddle-master Trilogy in a Barnes & Noble several years ago. After finishing that excellent trilogy, I went looking for any other McKillip books I could get my hands on. The result was a binge, of sorts, in which I blew through six or seven titles without a by-your-leave. And it was an immensely good time. It's no secret that Patricia McKillip is a most beloved author for so many fantasy readers. I discovered her late in the game, when I ran across a beautiful reissued omnibus edition of The Riddle-master Trilogy in a Barnes & Noble several years ago. After finishing that excellent trilogy, I went looking for any other McKillip books I could get my hands on. The result was a binge, of sorts, in which I blew through six or seven titles without a by-your-leave. And it was an immensely good time. But it did result in a little bit of fatigue, as her writing style is very specific and lyrical and I wound up needing to cleanse my palate a little after. Since then I've re-read a few of my favorites here and there, particularly the Riddle-Master and The Book of Atrix Wolfe, but not since The Tower at Stony Wood's release have I picked up one of her new ones. While I was perusing the McKillip section on my shelves the other night, the slender little volume THE CHANGELING SEA caught my eye and I got to thinking it might be time to get back on the McKillip wagon. Originally published in 1988, this young adult fantasy has stood the test of time. Firebird put out the pretty little edition pictured on the right in 2003 and, having worked hard to find my own used copy, I was happy to see new life breathed into it. I also think it's the most accurate artistic representation of Peri herself and the spiraling, mesmerizing tone of the novel. Nobody ever really noticed Periwinkle. She and her small family have always been a bit on their own, quietly living out their lives in their sleepy fishing village. And then the year she turns fifteen, Peri is suddenly really and truly alone for the first time in her young life. It seems the sea has taken everything that she loves. First her father who drowned and now her mother who failed to get over her father's death to the point where she no longer talks to Peri at all. And so Peri spends her days working as a chamber maid, scrubbing floors at the local inn, and her nights trying desperately to curse the sea that's been the source of all her sorrow. Magic has always been a part of Peri's world, though it's never made itself known with quite such a presence as it does the day the King arrives in town with his son Prince Kir. The unhappy prince has a problem that plagues him, a problem he hopes Peri may be able to help him with. If she will just include something of his in her latest curse, perhaps the longing that rides him will abate. Neither of them expect the sea monster who rises as a result. A sea monster bound by a golden chain and from that point on, nothing is the same in Peri's life, and it is with gratitude she accepts the help of the wizard Lyo--a sort of local wise man. Between the four of them--the girl, the prince, the wizard, and the dragon--they piece together the mystery of what happened in that same place so many years ago and why it's rearing its ugly head now. No one really knew where Peri lived the year after the sea took her father and cast his boat, shrouded in a tangle of fishing net, like an empty shell back onto the beach. She came home when she chose to, sat at her mother's hearth without talking, brooding sullenly at the small, quiet house with the glass floats her father had found, colored bubbles of light, still lying on the dusty windowsill, and the same crazy quilt he had slept under still on the bed, and the door open on quiet evenings to the same view of the village and the harbor with the fishing boats homing in on the incoming tide. Sometimes her mother would rouse herself and cook; sometimes Peri would eat, sometimes she wouldn't. She hated the vague, lost expression on her mother's face, her weary movements. Her hair had begun to gray; she never smiled, she never sang. The sea, it seemed to Peri, had taken her mother as well as her father, and left some stranger wandering despairingly among her cooking pots. This is a gem of a book! It's compelling, magical and very unpredictable! It is the 4th book I've read from Patricia A. McKillip and I love the dreamlike quality of her writing. I am wavering between 4 and 5 stars and deciding on 4 only because I usually only give 5 stars to book I read read and still love. It is absolutely beautiful and Id recommend it to everyone who loves fairy tales. I just couldn't get past Peri loving a man who was so tormented, who gave her nothing in return--was incapable of giving her any of himself. But she was still in love with him & pined for him when he was gone. Just not my favorite message for the target audience. Save the angst for the older crowd--I prefer children's books when the girl falls for a boy who is actually nice to her and thinks of her and not just poor, poor him. SO GOOD. I loved it. The feels man. Il romanzo è molto datato — del 1988 — ma io adoro la penna elegantemente "vecchio stile" della McKillip. Come suggerito dal titolo originale — The Changeling Sea — la storia ruota intorno allo scambio di due bambini, uno dei quali venuto dalle profondità del mare e a questo legato indissolubilmente. È una vicenda semplice, in fin dei conti, pensata per un pubblico giovane, ma piena di belle suggestioni e scritta in modo talmente scorrevole che la si legge tutta d'un fiato. C'è una ragazza un po Il romanzo è molto datato — del 1988 — ma io adoro la penna elegantemente "vecchio stile" della McKillip. Come suggerito dal titolo originale — The Changeling Sea — la storia ruota intorno allo scambio di due bambini, uno dei quali venuto dalle profondità del mare e a questo legato indissolubilmente. È una vicenda semplice, in fin dei conti, pensata per un pubblico giovane, ma piena di belle suggestioni e scritta in modo talmente scorrevole che la si legge tutta d'un fiato. C'è una ragazza un po' selvaggia, che odia il mare per aver portato via suo padre. Ci sono prìncipi in cerca di sé stessi. Un re amato e odiato con un'intensità che non conosce tempo. Un drago incatenato fra le onde. Un giovane mago dal sorriso pronto, un mago vero, che cercherà di placare quel mare pieno di segreti. Tutti elementi classici del fantasy — è vero — ma raccontati e intrecciati con rara grazia. A delightfully bittersweet tale of magicians, sea dragons, old and new love, lost princes and, above all, periwinkles. It's my first Patricia A. McKillip. I searched all over for fantasy books that might inspire me now that NaNoWriMo is just around the corner and I've decided to dabble in a fantasy novel that has been with me since the 9th grade. Crazy, I know. Ms. McKillip has such a talent with prose. Her descriptions were beautifully vivid and, while I didn't really connect with the 3.5 stars. A wonderful tale of magic, love, and learning to live with the treasures and heartaches that the tide brings in. I love the skillful way Patricia McKillip has with prose. She weaves the story around you letting you love and sorrow with the people in the story. I may need to read this story over and over again. Thank you Jeannette for recommending it. This short novel is lyrical and gripping, as the story of two princes, one bound to land but longing for the sea, and one bound to the sea but longing for land, and the ordinary girl (Periwinkle) who befriends both. Beautifully written and highly recommended! If there is one word I’d use to describe the sea, that word would be enchanting . The sea has magic. A strange kind of pull is felt by anyone who wishes to feel this magic. When most people visit the seaside, the first fear that strikes them is that the sea water and the harsh sun will tan their skins. Very few people really understand the beauty of the sea. The different moods it experiences. The rage of the sea when expressed by giant waves crashing at the shore. And then, the calm. The serene If there is one word I’d use to describe the sea, that word would be enchanting . The sea has magic. A strange kind of pull is felt by anyone who wishes to feel this magic. When most people visit the seaside, the first fear that strikes them is that the sea water and the harsh sun will tan their skins. Very few people really understand the beauty of the sea. The different moods it experiences. The rage of the sea when expressed by giant waves crashing at the shore. And then, the calm. The serene flow of the water when the sea is at peace. We take water for granted, don’t we? No one pays attention to the sea until finally, the sea demands attention in a way that terrorises us humans who are at her mercy. The sea, it’s water and everything in it, is beautiful. If only one opens their eyes. This is my first book by Patricia A. McKillip. I had never heard of this particular authoress but the cover of my copy has mentioned her as one of the masters of Fantasy in America. That led to some pretty high expectations. The story is about a young girl by the name of Periwinkle, Peri for short. She has lost her father to the sea and her little family consisting of her mother and herself is in a state of mourning. Peri’s mother is much aggrieved and she stops communicating with her daughter and gazes out to the sea in hopes of seeing her husband again. Peri loses both her parents in that tragedy. She is all alone and she feels resentment towards the sea that took her father so she, in a fit of rage, hexes the sea. She doesn’t believe that her hex would have worked since she knows very little magic, so she resumes her life as a floor-scrubber in the inn she works at. Little did she know that her simple hex would bring so many changes into her life. Suddenly she meets the two sons of the King. Princes by birth, both are very different from each other. Peri wonders how men of royal blood would look twice at a humble maid such as herself. What Peri doesn’t know is that she has magic as well. Not only the kind of magic we read in books and hear about in fables. There’s magic in her heart. The kind of magic that attracts people simply because it is irresistible. This magic in Peri is what attracts a magician named Lyo towards her. He takes interest in Peri’s life because her sorrow speaks to him. Her selfless heart makes him want to know more about her. Peri and Lyo help both princes while they await their fate and eventually achieve their destiny. The novella is about so many different things, love, hope, friendship, coming of age and even sorrow. Some books can never express so many different topics in 500+ pages and then there are books like this one, that makes you sit up and take notice. It overwhelms you in many ways. While the words are sheer poetry and makes you yearn for the sea, the plot makes you root for the characters and hope that they can achieve all the things they want in their lives. Many thanks to Manju for this wonderful recommendation and apologies for taking so long. But I really needed to savour this one. against the sea, calling forth a monster… and a Prince. feeling reminded me of books like The Secret Garden. Beautifully, breathtakingly woven, as one would expect from Ms. McKillip. The characters are exquisitely fleshed-out and complex, mysterious and lovely, infused with emotions and heart expected of an everyday person, yet with just the barest hint of magic running its current beneath. The prose is absolutely spellbinding, and the conversations compelling, riddled with that simple, effortless, alluring ease that flows so naturally from the author's hand. May expand more on character thoughts later, Beautifully, breathtakingly woven, as one would expect from Ms. McKillip. The characters are exquisitely fleshed-out and complex, mysterious and lovely, infused with emotions and heart expected of an everyday person, yet with just the barest hint of magic running its current beneath. The prose is absolutely spellbinding, and the conversations compelling, riddled with that simple, effortless, alluring ease that flows so naturally from the author's hand. May expand more on character thoughts later, but all in all, this was entirely lovely; a book I cherished and felt and swallowed every step of the way back to the sea and beyond, with eager eyes, fingers, and heart. Some books fail to live up to nostalgia-tinged memories. Some books remain solid years later. And some books are even better than you remember. This one's definitely in the latter category. It's a fairy tale first and foremost, so don't read it if you're looking for detailed worldbuilding or rules of magic. It works by fairy-tale logic. Metaphor is important. Things come in threes. Your heart's desire pays for itself, if only you can figure out what it is. Mostly, it's the language I love it for. Some books fail to live up to nostalgia-tinged memories. Some books remain solid years later. And some books are even better than you remember. This one's definitely in the latter category. According to Fantasy Book Patricia Anne McKillip is an American author of fantasy and science fiction novels, distinguished by lyrical, delicate prose and careful attention to detail and characterization. She is a past winner of the World Fantasy Award and Locus Award, and she lives in Oregon. Most of her recent novels have cover paintings by Kinuko Y. Craft. She is married to David Lunde, a poet.